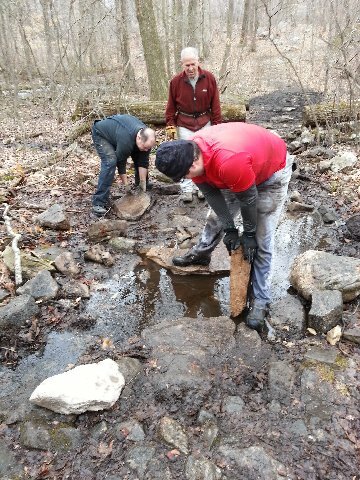 On Saturday March 2nd, as the ground finally started drying out, the Friends of MRP resumed our monthly trailwork, as illustrated in the accompanying photos. 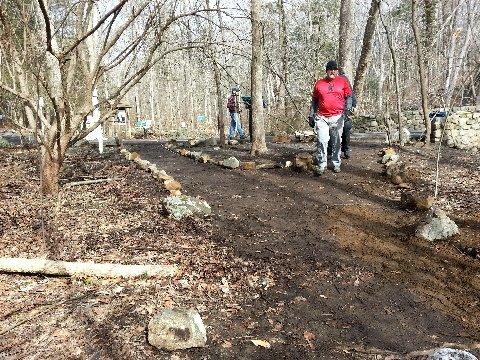 Nine volunteer trailworkers showed up, led by Ryan Tucker, and worked hard for over 3 hours. First, we better defined the entrance to the Treetops Trail, just west of the bridge on Merriebrook Lane. 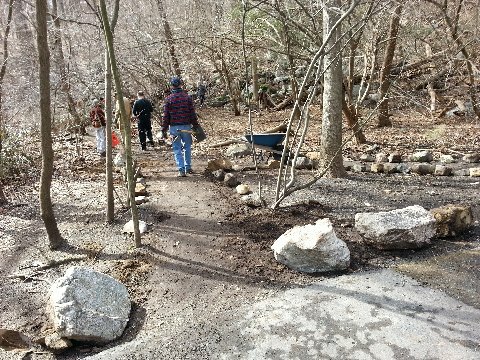 Rocks are used to line the edges of the trail, while allowing water to flow across the trail during heavy rain and snow melt. 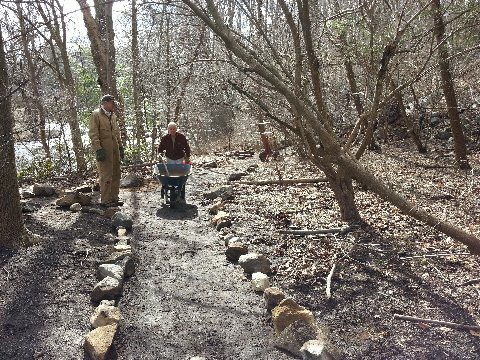 And next, we improved the armoring of the stream crossing on the Laurel Trail, just south of the intersection with the Swamp Trail. Armoring is done with large rocks, to allow visitors to keep out of the mud and the water, while allowing the flow of water between the rocks.